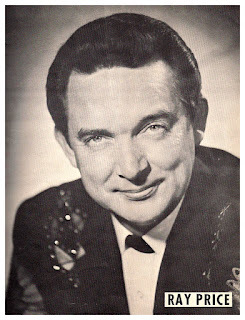 Ray Price (born January 12, 1926) is an American country music singer, songwriter and guitarist. His wide-ranging baritone has often been praised as among the best male voices of country music. There’s a sadness undergirding Dallas songslinger Ronnie Fauss’ first full-length album, but it’s not expressed in ways that are dour or maudlin. No, it’s more a sense of lived hardship sharpening perception, a sensitivity to the struggles and frustrations of everyday existence. An empathy for his fellow travelers, maybe. Mixing country and folk with the occasional big heartland rock riff, Fauss proves a remarkably astute chronicler of life’s seasons and cycles. Influenced by psychedelia and California rock, pop/rock producer Curt Boettcher (the Association) decided to assemble a studio supergroup who would explore progressive sounds in 1968. Millennium’s resultant album would find no commercial success and only half-baked artistic success, but nonetheless retains some period charm. Influenced in roughly equal measures by the Association, the Mamas and the Papas, the Smile-era Beach Boys, Nilsson, the Left Banke, and the Fifth Dimension, Boettcher and his friends came up with a hybrid that was at once too unabashedly commercial for underground FM radio and too weird for the AM dial. It would have fit in better on the AM airwaves, though; the almost too-cheerful sunshine harmonies and catchy melodies dominate the suite-like, diverse set of elaborately produced ’60s pop/rock tunes. A local legend in West Texas, James Hand spent the better part of four decades writing and playing pure honky tonk country before he earned any significant attention outside the Lone Star State, when Rounder Records released his first nationally distributed album, 2006’s The Truth Will Set You Free. James Hand was born in 1952 in Waco, TX, and developed a passion for country music early in life, joining a band that was playing local roadhouses at the age of 12. This is taken from the Base Ventura EP out now on Manchester, UK’s Twisted Tape Records. Country music icon Wanda Jackson, dubbed “The Queen of Rockabilly,” worked with producer Justin Townes Earle to bring her back to her roots and hear a side of the singer that we haven’t heard in some time.